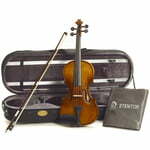 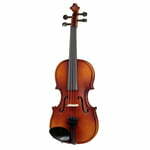 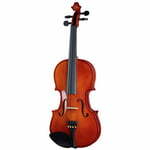 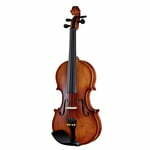 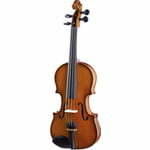 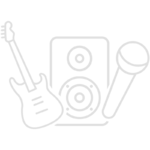 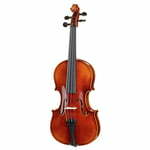 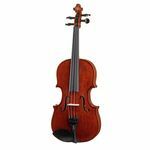 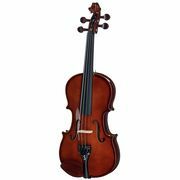 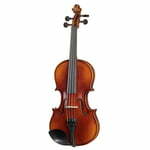 Violin 1/4, Built completely out of solid wood, Slightly lamed, Gold-brown hand-applied spirit varnish, Ebony fittings, Tailpiece with fine tuners, Incl. bow and hard foam shaped case The colour of the lining may differ from the picture! 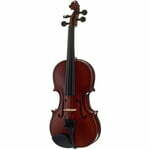 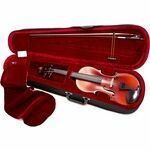 Yamaha V5 SA14 Violin Set 1/4, fully solid violin, solid spruce top, solid maple back and sides, ebony fingerboard, ebony tailpiece with 4 fine-adjusters, ebony chinrest and ebony tailpiece, comes with bow, case and rosin.